Access Health Care Physicians is proud to announce that the National Committee for Quality Assurance (NCQA) has stated that Naresh Menezes, MD, and Lakshmi Menezes, MD, have achieved NCQA Level 3 Patient-Centered Medical Home Recognition (PCMH) for using evidence-based, patient-centered processes that focus on highly coordinated care and long-term participative relationships. The office of Dr. Naresh Menezes and Lakshmi Menezes is located at 10494 Northcliffe Boulevard, Spring Hill, FL 34608. Call 352-686-3991 to schedule an appointment. Dr. Naresh Menezes is board certified in internal medicine and received his medical degree from St. John’s Medical College in Bangalore, India, in 1989. He served as a resident physician in the intensive care unit at Holy Spirit Hospital in Bombay, India, 1991 – 1992. In 1992 Dr. Menezes began his internship and residency in internal medicine at St. Luke’s/Roosevelt Hospital in New York City. He completed his fellowship in infectious disease at Long Island Jewish Medical Center in New Hyde Park, New York. 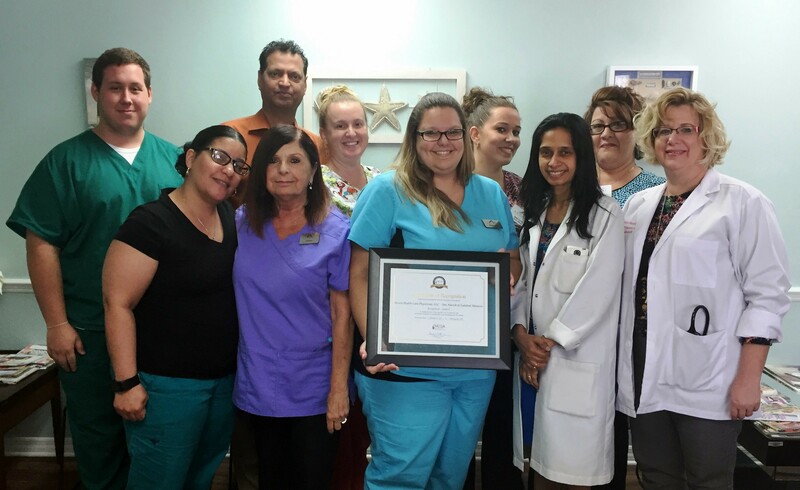 Dr. Menezes is also involved in public healthcare and has been affiliated with the HIV clinic at the Hernando County Health Department since 2005. Dr. Lakshmi Menezes is board certified in internal medicine and is an affiliate of the American Board of Internal Medicine. She began her medical education in 1986 at Kilpauk Medical College of Medicine & Surgery at the University of Madras in Madras, India. She was awarded the gold medal for proficiency in social and preventive medicine in 1992. In 1993 Dr. Menezes began her internal medicine internship and residency at St. Luke/Roosevelt Hospital in New York City and between 1998 and 2002 she was Medical Director at Coplin Memorial Health Center in Elizabeth, West Virginia. Dr. Menezes’ clinical services include preventive and periodic healthcare diagnosis and treatment of most chronic medical and subacute illnesses, minor surgical procedures, interpretation of EKGs and blood tests. To earn recognition, which is valid for three years, Dr. Naresh and Lakshmi Menezes demonstrated the ability to meet the program’s key elements, embodying characteristics of the medical home. NCQA standards aligned with the joint principles of the Patient-Centered Medical Home established with the American College of Physicians, the American Academy of Family Physicians, the American Academy of Pediatrics and the American Osteopathic Association.